A few months ago, an unusual version of the Classic 500 was spied at a Royal Enfield dealership. It was so different that many contemplated it to be an aftermarket custom motorcycle instead of a legit production model from the Chennai-based manufacturer. However, thwarting the speculations, it seems to be a road-going Scrambler that you can actually buy. 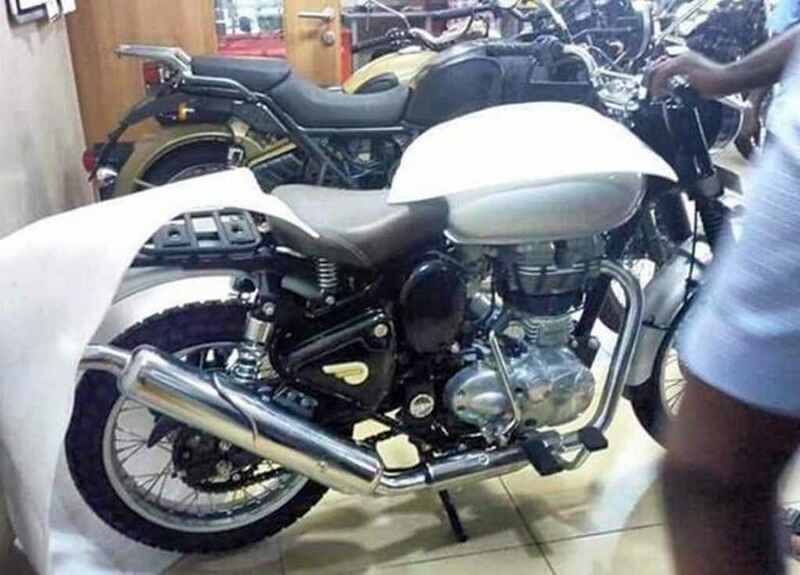 A recent set of spy pictures suggest that the Royal Enfield Classic 500 Scrambler has been put through its paces at ARAI’s facility in Pune. Royal Enfield does sell the Scrambler variant of the Classic 500 in international markets like in Europe but it has so far not featured in the domestic lineup. The scenario will more likely change going by the looks of things. The exterior changes on the Royal Enfield Classic 500 based Scrambler are apparent as it gets an upward positioned exhaust unit, high set rear mudguard for more wheel travel and luggage carrier standing in place of the pillion seat. In a similar fashion to Europe, the Scrambler 500 could be retailed as a factory-prepared customisable kit that would allow more purchasing choices for customers. Moreover, the Scrambler 500 has longer exhaust system than the optional off-road unit that can be bought for the regular Classic 500. Other notable changes are disc brakes on both ends, handlebar suited for trail riding, rubber gaiters protecting telescopic forks at front, knobbed tyres wrapped around the standard spoke wheels, etc. While no confirmation has been made yet, Royal Enfield could bring in dual-channel ABS system to comply with the stringent safety regulations and since the Scrambler 500 is off-road focussed, a switchable unit will come in handy to squash through mud and slipper surfaces according to rider’s preference. Since the Royal Enfield Scrambler 500 has just been through ARAI testing, we can expect it to enter the market in early parts of 2019. Do not expect huge increase in price tag as it will likely be around Rs. 1. 90 lakh (ex-showroom). 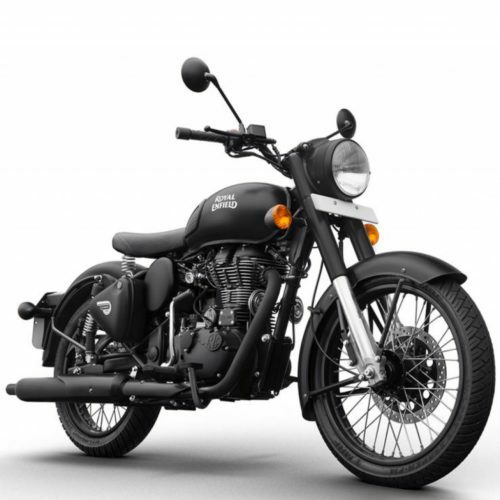 Royal Enfield may not make any changes to the powertrain as the tried-and-tested 499 cc single-cylinder air-cooled engine should be good enough to produce 27.5 PS at 5,250 rpm and 41.3 Nm of peak torque at 4,000 rpm and is mated to a five-speed gearbox. With bookings for the 650 Twins receiving tremendous response, Royal Enfield appears to be strengthening its 500 cc offerings as well and give customers more options to evaluate following the reentry of the Jawa brand whose trio of compelling motorcycles are priced highly competitively in the market.